Famous for its great explorers, Portugal is the land where everything is possible. 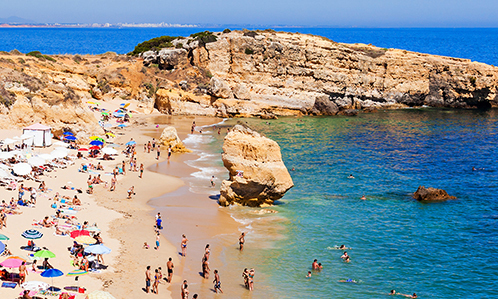 Whether you are attracted by the culture of big cities like Lisbon or Porto, or prefer to relax on the Algarve beaches, Portugal is a tourist destination that will charm all visitors alike. 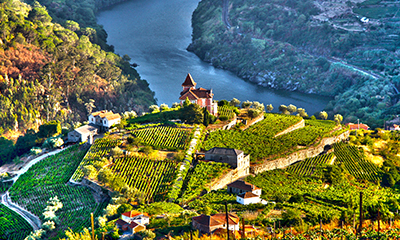 In the evening, its flavorful cuisine, its refined Porto wine, and the melancholic rhythms of the Fado will seduce you, while your days will be filled with discoveries like medieval castles, authentic villages, and walks through the vineyards. 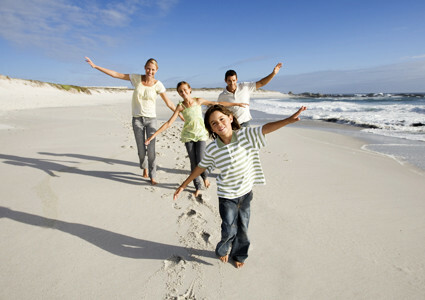 Our Travel Professionals have gathered their best picks to help o plan your Portugal vacation without missing anything. Portugal does not move to the frenetic rhythm of the Western world. To get the best of your trip to the Iberian Peninsula, you have to get into the Portuguese relaxed, farniente pace. Stroll along the alleys, listen to the Fado (melancholic Portuguese music), and daydream on the beaches of golden sand. 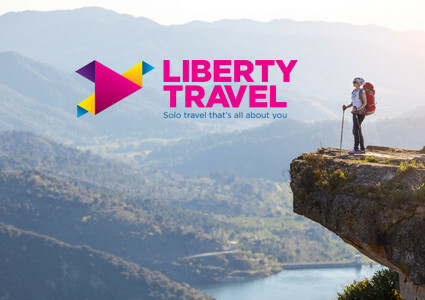 If you want to stretch your legs, then the thing to do is to hike on the national parks or visit the Madeira and Azores islands. Everything like in Spain, with numerous celebrations and festivities punctuate the Portuguese calendar, with the most important being the Flower Festival that takes place in the Spring in the Madeira Island, the Festas do Santo António that fill the Lisbon squares on the night of June 12 and the Romaria de Viana do Castelo in August. The warm hospitality is one of the most notable traits of the Portuguese people, for whom welcoming tourists is of utmost importance. The contrast between traditions and modernity is also characteristic of the country, where it is common to end the day in a stylish bar and grab a coffee in a typical spot that has not changed for more than one hundred years. Portugal… photogenic? Amid the original Lisbon azuelos, the Ponte Luís in Porto, the mythical Palacio de Sintra, the vineyards of the Douro Valley, the Algarve beaches, or the villages of the Alentejo, you will want to stop every five minutes to capture the beauty of the country forever. Your Travel Professional will show you the most majestic sites, so you don't miss anything. Are you planning to go to Portugal? Start from the basics to get the most of your stay in this country that has so much to offer. Lisbon is the sunniest capital of Europe. Strolling along the Tejo river or the streets looking for the houses covered with azulejos (colorful tiles), you will be seduced by the different facets of the city where the medieval ruins surround the nightclubs and the trendy restaurants. The language spoken in Portugal is, obviously, Portuguese. However, people will usually speak English or French in the tourist places. Although Portugal is pleasant and sunny year-round, the best months to go are June, July, and August. 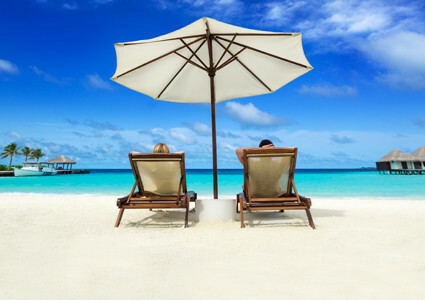 However, if you are looking for peace and quiet, avoid the Algarve beaches in July and August and go instead in May or September. 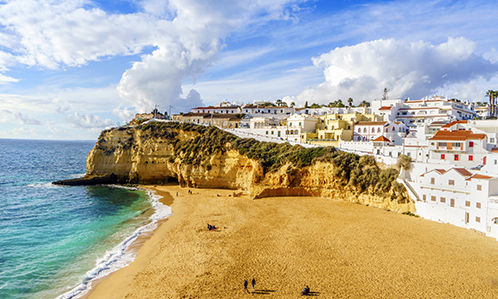 Pleasant in all seasons, the oceanic and Mediterranean climate in Portugal is mild and sunny. The temperature stays between 59 and 77oF. From April to October there is very little precipitation, while it is more humid between November and March. Like most countries in Europe, Portugal uses the euro as its currency. 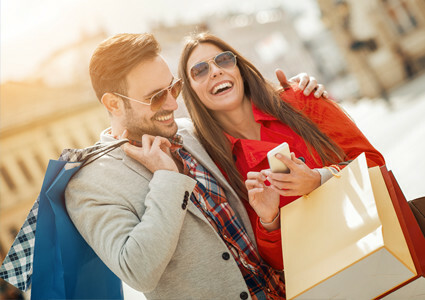 Credit cards are normally accepted in hotels and restaurants, but it is good to have cash to make purchases in small stores or if you plan to go to rural areas. Portugal, like Greece, is one of the most affordable countries of the European Union. The current in Portugal runs at 220 volts, and the sockets take plugs with two rounds. Don’t forget to pack an adaptor in your suitcase! You can make calls to anywhere in the world from Portugal. Internet and Wi-Fi are widespread and often free in hotels, restaurants, and public areas. Many flights leave from Canada to Lisbon, Porto andFaro. You will have no difficulty finding flights for Portugal. If you are visiting Portugal in the summer, pack comfortable, light clothes because it will be hot. However, do not forget to take a jacket or sweater to protect you from the cool Atlantic breeze. Pack comfortable shoes to walk on the steep streets of Lisbon and Porto. Even if you need to wear a formal attire to dine at a gastronomic restaurant, stiletto heels are not a good choice! Inspired by the sea and the ancient colonies, the Portuguese cuisine uses spices from all over the world to flavor its fish and meat dishes. It is a mixture of family traditions and great discoveries to entertain your taste buds. Petiscos: Small hors-d’œuvres, bread, and olives are brought as you arrive at the table. Please remember that those are not included, and you must pay for them. Bacalhau: Cod is a staple in the Portuguese cuisine. It is even considered a national dish! Cooked in many different ways, the most traditional is à Braz: with eggs, black olives, and potatoes. Arroz de marisco: Deliciously flavored, this dish of rice and seafood, vegetables, and aromatic herbs reminds the Spanish paella. Bifana: Pork cutlets marinated in white wine and garlic, then fried and served inside a small roll. The meal on the go, just perfect! Sardines: Grilled or in brine, these small fish are prepared in many different ways. Francesinha: Originally from the Porto region, this dish enchants all gourmands. Gargantuan, this ham sandwich is covered with melted cheese and a tomato sauce. Pasteis de nata: It is said that only three persons in the world know the traditional recipe for these sugary egg tartelettes. Piri Piri chicken: The most notorious Portuguese dish, you must try this recipe for chicken grilled with pepper. Ginjinha: A true delight, this alcoholic drink is made with macerated cherries. Porto: Produced in the Douro Valley, this sweet wine with dark, intense color, is served at the end of a meal. Vinho verde: The ideal for drink for gatherings, this refreshing green wine is typical of Portugal. Its name refers to its youth and not its color, because you can have red or white green wine. Tips are not mandatory at restaurants, but you would normally leave 5 to 10% of the bill if the service is good. In a cab, you round up the fare. Overlooking Lisbon city, Saint-Georges Castle will take you back in time to the Middle Ages. An important historical place, the castle is mainly visited for its breath-taking view. Besides, you can admire the streets of Alfama, Baixa and the Tagus. A sight not to be missed! Lisbon is definitely not to be missed. Not only can we benefit from its dynamism and its effervescence, but do you know that we can also visit several beaches a few steps away from the city? Whether on foot, by train or on a bicycle, it is easy to enjoy a swim to refresh oneself. On the other side of the Tagus, the huge sandy beach of La Costa da Caparica can be easily accessed from the city. It is also possible to reach the smallest of beach resorts located in Cascais and Estoril within a distance of only 20 km. It is difficult to go to Portugal without tasting the local seafood. The long tradition of fishermen can be discovered in its cuisine. Where can one taste such a spread? Let the odor, ambience, decor and a visit to a tasca guide you. You shall find these typical small taverns (tasca) in the Alfama quarter in Lisbon. And why not try out the restaurant Barraçao de Alfama; According to our advisors, it is a true delight! A Portuguese music, the fado is composed of songs and string instruments with a melancholic sound. After dinner, go ahead and immerse yourself in Portuguese culture by attending a performance of this traditional music. Several city clubs offer Fado performances Clube de Fado on São João da Praça street is undoubtedly one of the best places. According to our advisors, the Ribeira quarter is the prettiest quarter of Porto with its small streets filled with cafes, restaurants and terraces. Walk through this maze of porto stores and tasting salons. The picturesque ambience of this old quarter is the ideal location to discover the best vintage of this wine of international repute. It seems that the best way to travel is on foot! In Evora, it is undoubtedly the best way to travel across the narrow streets lined with pretty white houses. Classified as a world heritage site by UNESCO, the city draws its origin from the Roman period, which confers on it this singular, welcoming and peaceful appearance. Have you thought of exploring the surroundings? Why not take advantage of it! Here, you will discover several megaliths dating back to the neolithical period. The cromlech of Os Almendres has 92 megalithical circles located in the heart of a cork oak forest. The beautiful coast of Algarve is located to the south of Portugal. Lined with limestone cliffs, you will fall to the charm of its magnificent golden beaches, its fishing villages and its turquoise waters. You are sure to lose your heart! Don’t stop at the beaches of Algarve, be adventurous and travel inland to discover the historical villages, fortified cities and the different hiking paths. Sintra, one of the oldest cities of Portugal, is a classified UNESCO world heritage site. Endowed with an exceptional mountainous landscape and lush flora, for some time the city was the creative archive of several architects of the period. Extravagant villas and palaces are located here for the greatest pleasure of the visitors. Don’t miss visiting the Regaleira Palace and the Palacio Da Vila which are the oldest palaces of Portugal, and also the Palais de Pena which will blow you with its bright colors! Considered as one of the 7 wonders of Portugal, this protected lagoon stretching up to almost 60 km has wetlands, salt marshes, creeks and dune islands. Be it the beaches or its nature trails, you will be seduced by the park. Keep your eyes open, you will find several aquatic birds in this park! Located in the Berlengas nature park, go and discover this beautiful fort. Octagonal in form, in the past, this fort was a monastery which was later converted into a defense fort. Its special location will seduce you and its magnificent bridge above the turquoise waters will leave you speechless. The brave-hearted may also think about spending a night here.